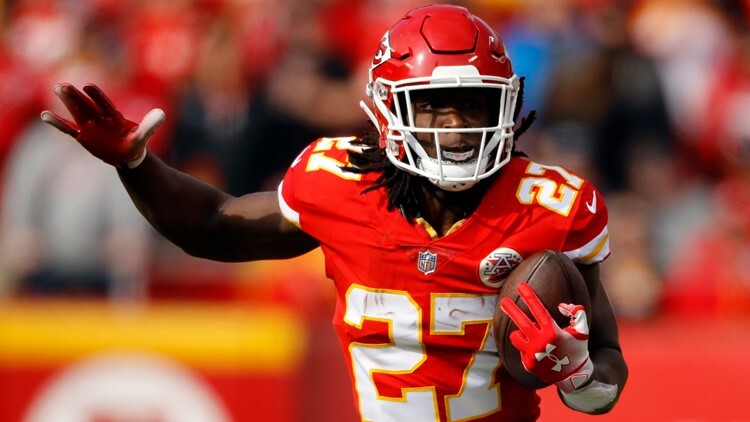 Poll: Do you agree with the Cleveland Browns signing Kareem Hunt? On Monday, the Cleveland Browns announced they have signed troubled NFL running back Kareem Hunt. CLEVELAND -- The Cleveland Browns are bringing Kareem Hunt back to Northeast Ohio. And as one would imagine, many have strong feelings about the Browns' decision to sign the troubled running back. After all, the 23-year-old former Pro Bowl selection was only available because he was released by the Kansas City Chiefs late last year after video surfaced of him kicking and shoving a 19-year-old Kent State student at The Metropolitan at the 9 hotel in downtown Cleveland. Nevertheless, the Browns opted to sign the Willoughby South product, who rushed for a league-high 1,327 yards as a rookie in 2017. How do you feel about the Browns' decision to sign Hunt? Let us know in our Twitter poll or share your thoughts with us via Facebook and/or Twitter. In a statement announcing his signing with Cleveland, Hunt apologized for his actions, while insisting he has learned from his past behavior.